The Spiral Fountain, located in front of the Sydney Convention Centre in Darling Harbour, is a popular play-spot for locals and tourists alike. 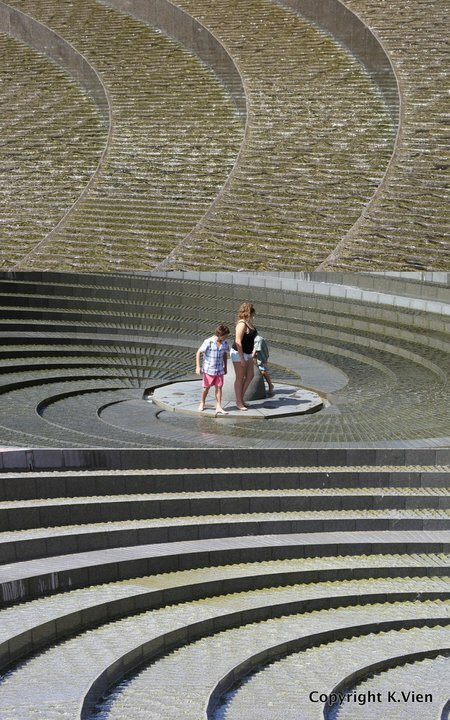 Take your shoes off and cool down with a walk through the water filled spiral steps. Join the many children splashing and giggling away. The spiral fountain is also a fantastic spot for fun photographs with the kids, or just getting artistic with your camera.